Well this one's sure came out of the blue. 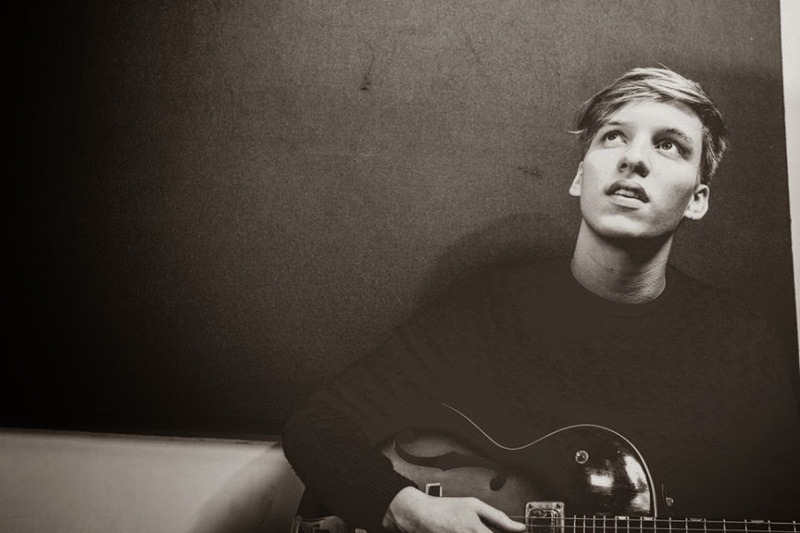 Not that I'm complaining or anything, It's always a welcomed gift to have new George Ezra. Even more so when it's this warm and spine-tinglingly good. Now, unless you've been living under a rock for the last year then I'm sure you'll already be well accustomed to what Ezra's all about having been bubbling away at the surface for quite some time now. With his handful of EP's and a relentless touring schedule including a Tom Odell support slot in 2013 (Not to mention ranking fifth in the BBC's Sound of 2014 Poll) it's safe to say it's been one exciting roller coaster ride for the young Bristolian. As he prepares to embark on his exciting journey to play in Budapest (well it only makes sense) George reveals his latest single 'Leaving It Up To You'. Taken from the forthcoming debut album 'Wanted on Voyage' we get all the validation that's needed as to just why he's become so hotly tipped in recent months. With the use of plinky synth notes and the expressive talents of The New Unison Gospel Choir the bar's most certainly been raised here as its soulful swells of playful energy awash over in the most wonderful of ways. Take a watch above of the rather candidly shot clip featuring footage George + friends in the studio whilst making the record.